Family travel can be the best of times or the worst of times. 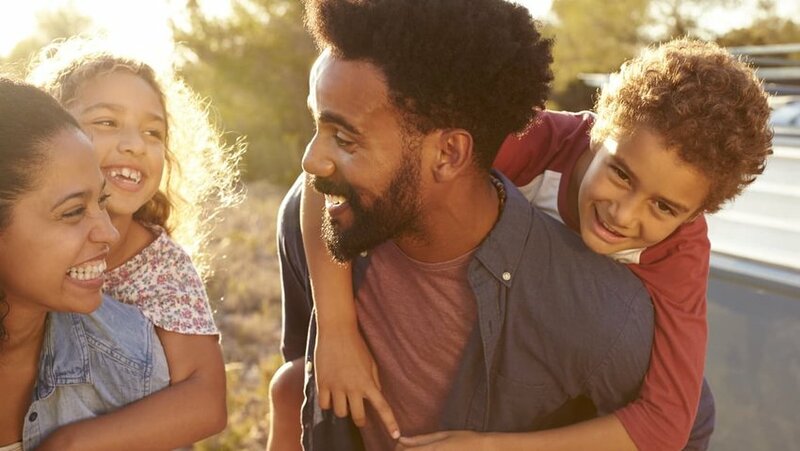 No matter what your family looks like—lots of little kids, adult siblings and significant others or tons of distant cousins—traveling with blood relations can be a trying experience. 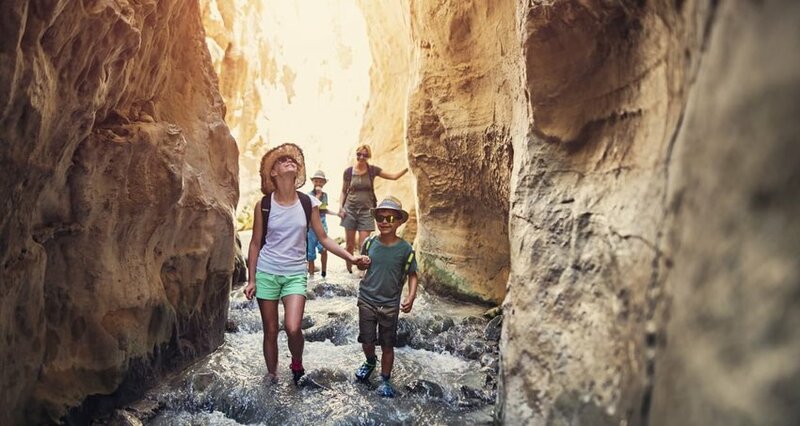 To make sure your family looks back on past trips with fondness, follow these tips for surviving travel and keeping your family (and sanity) in tact. Much as some members of the family might like to hit the theme parks of Orlando year after year, it’s important that the destination you choose works for everyone. Consider your choice from everyone’s point of view and find somewhere that’s able to tick all the boxes. Barcelona, Spain, for example has great museums and quirky architecture, but it’s also right on the beach. Check out our Discoverer Editions for some perfect inspiration. If the trip is inclusive from the get-go, you’re sure to have less trouble with recalcitrant family members once you actually arrive. Set aside some time as a family to discuss what the wishes and, just as importantly, the constraints, are. if there are kids coming, involve them in the planning and listen to what they’d like when it comes to the destination. Plan the order of activities too, in order to minimize time spent waiting in line or unnecessary backtracking. Once you’re there, if it’s practical, let each family member be the group leader for the day. Let the kids in on the game. 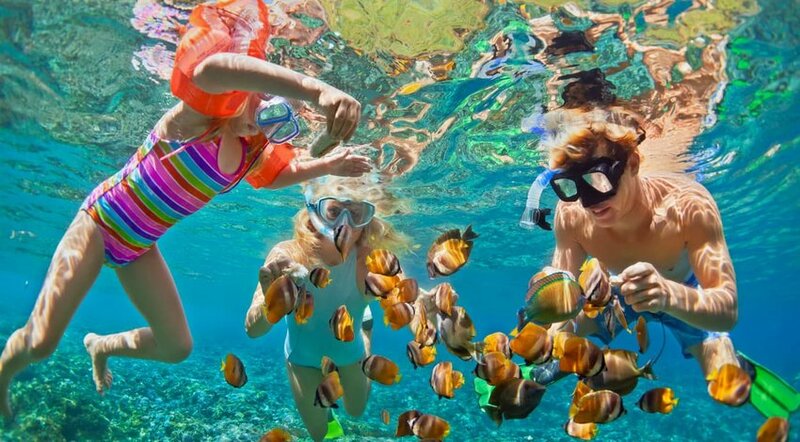 Giving children responsibility for map reading and navigation is a great way to teach them new skills; let them order the food for everyone and take charge of attractions tickets. Be patient if they need a little extra time to do so. Also, make sure everyone appreciates that at times, things go wrong, no matter who is in charge. How you conduct yourself in such situations is important. Be kind, show respect and set a good example. If your trip involves a long car journey or flight, pack an activity kit for the younger members of your family. This doesn’t have to be expensive – write out a list of landmarks, road signs and makes of cars for your children to tick off as they see them. Or work out alphabet-based mind games, like naming an animal for every letter of the alphabet. Interact. Pack a goodie bag with cards, travel board games and healthy treats to dip into along the way. And if there’s the remotest chance that your luggage could get lost along the way, make sure that you have an emergency kit with you to tide you over if those precious bags go missing. Technology, if used wisely, can make a vacation easier, but if unrestricted, can lead to a whole lot of tension. Limit the number of hours everyone is allowed on their iPad or phone. Negotiate this up front so that everyone knows and accepts the rules. 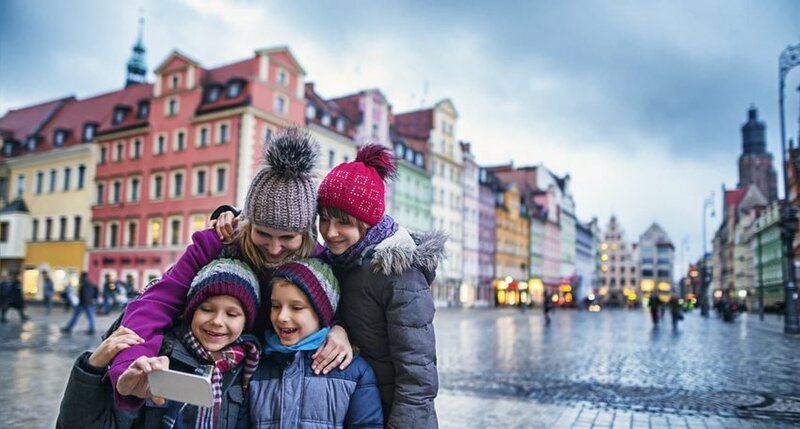 The whole point of the trip is to connect and experience new things with your family. 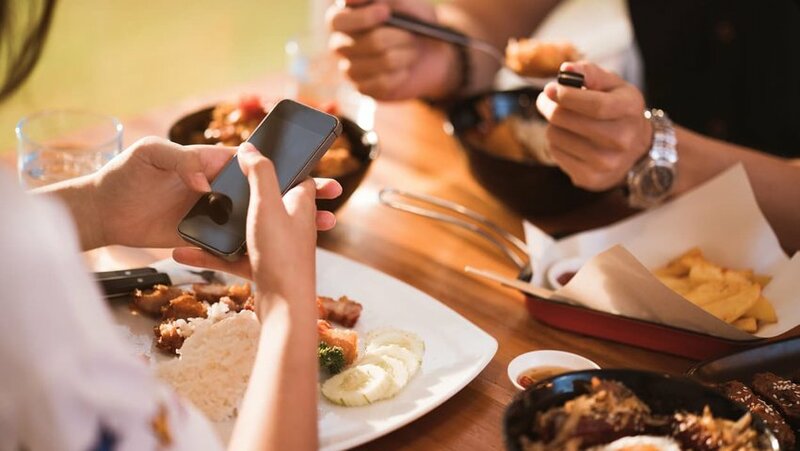 Turn it into a game—everyone set their phones in the middle of the dinner table and the first one to check theirs has to pay the bill. 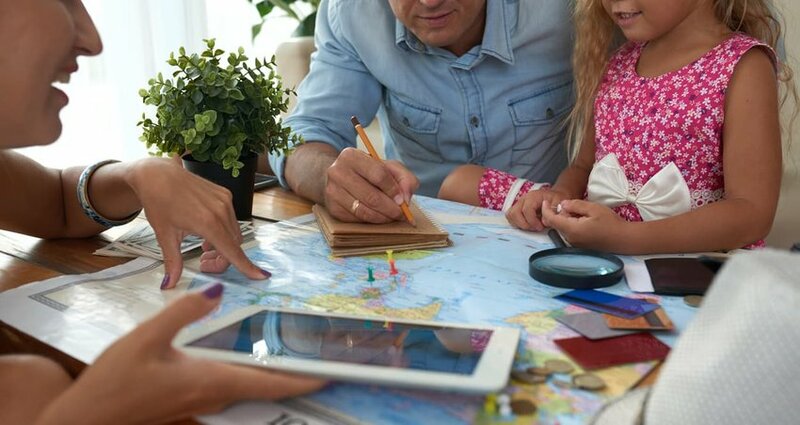 But also don’t be afraid of embracing the use of the technology to enhance a trip – load up travel apps and family games before you set off. When hanger (hunger + anger) strikes, it can spell disaster for a family trip. Everyone is susceptible to a bad attitude due to an empty stomach. 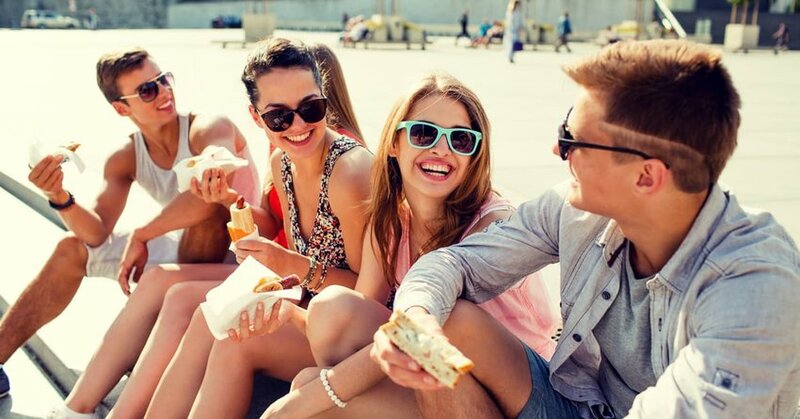 Long travel days or packed itineraries often leave little room for snacking so prepare ahead of time, either planning activities around restaurant options or packing snacks to bring with you. When kids start bickering or your spouse complains about being hungry, you'll be a hero when you whip out the food. As a family, you’re going to need to pace yourselves if everyone’s going to have a happy holiday. If you’ve planned a challenging day, build in a lazy day afterwards so that everyone can recharge their batteries. Mix and match activities so that the variety re-energizes family members. 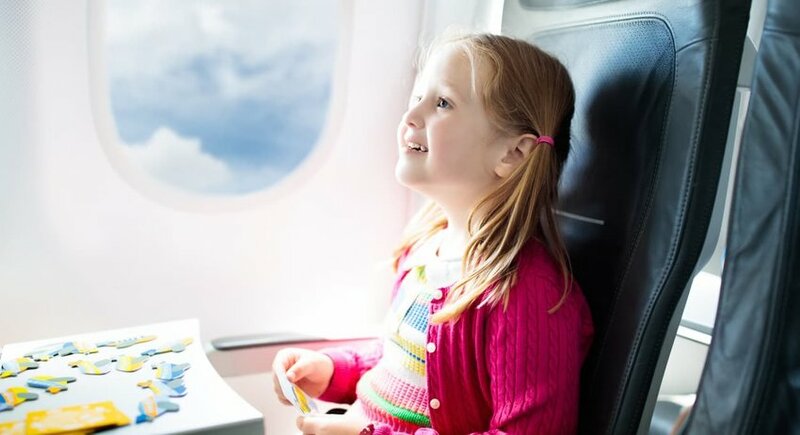 Keep an eye out for the warning signs that youngsters are getting over tired and remember to factor the impact of jet lag into your plans too. Most important of all, remember you’re on vacation to create happy memories and that’s not going to happen if you aren’t having fun. Include the things that make you all laugh. Make the best of the boring bits by playing silly games and jokes. Enjoy every minute of the time you have together as a family – it won’t last forever.